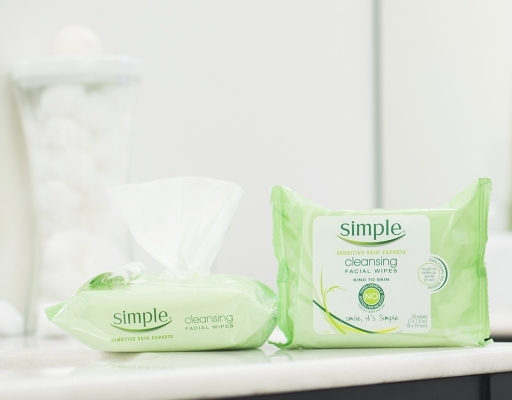 Smile, it's simple. 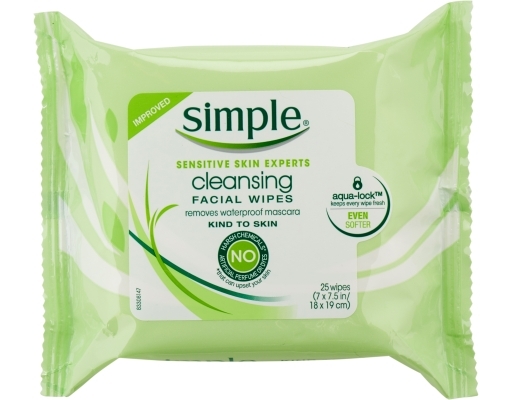 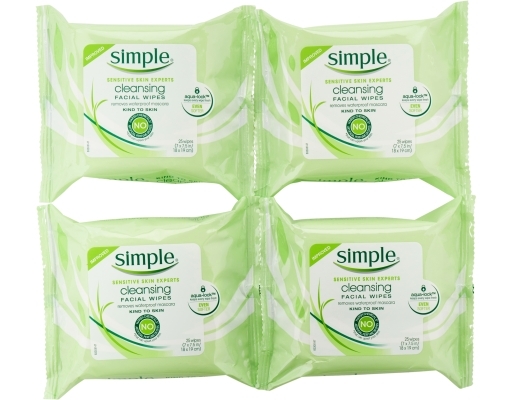 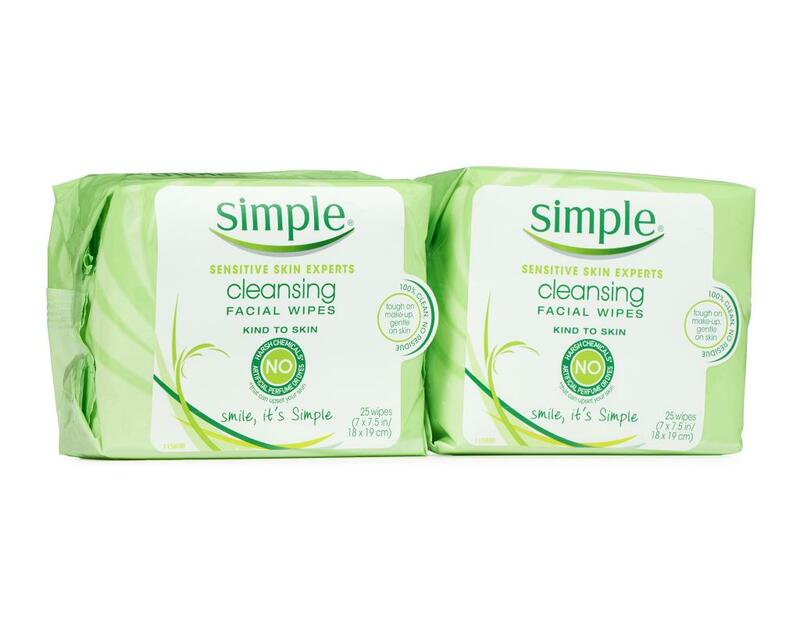 Simple cleansing facial wipes are tough on make-up, gentle on skin. Kind to your skin, especially for sensitive skin, Simple helps restore, soften and smooth. 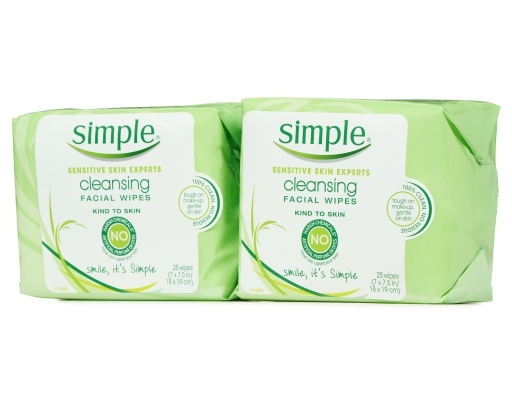 No alcohol, no oil. 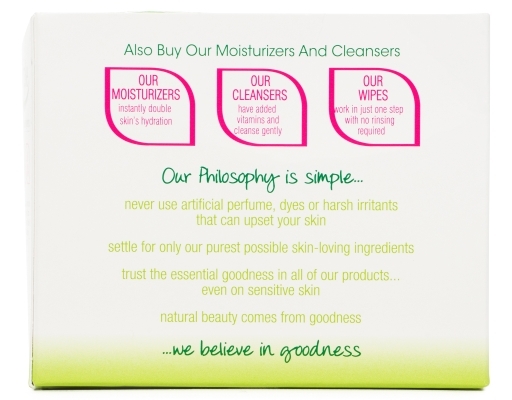 Non drying, no greasy residue. 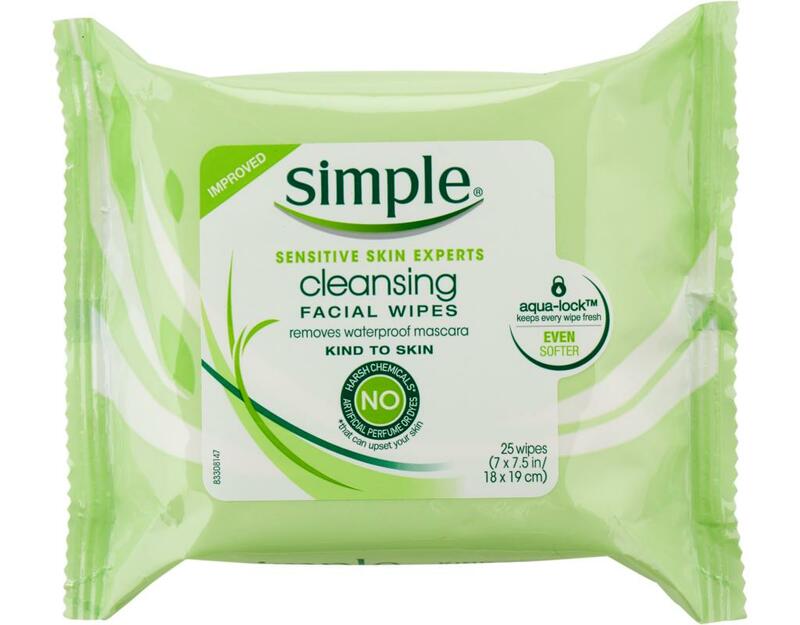 No perfumes, no dyes, no harsh irritants that can upset your skin. 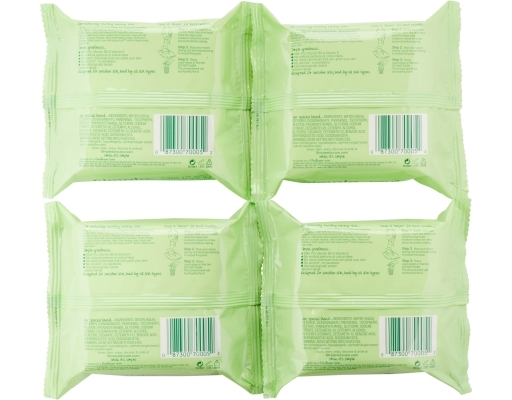 They are perfect for traveling or for your gym bag when you need a quick cleanse - they work in just one step, no rinsing required. 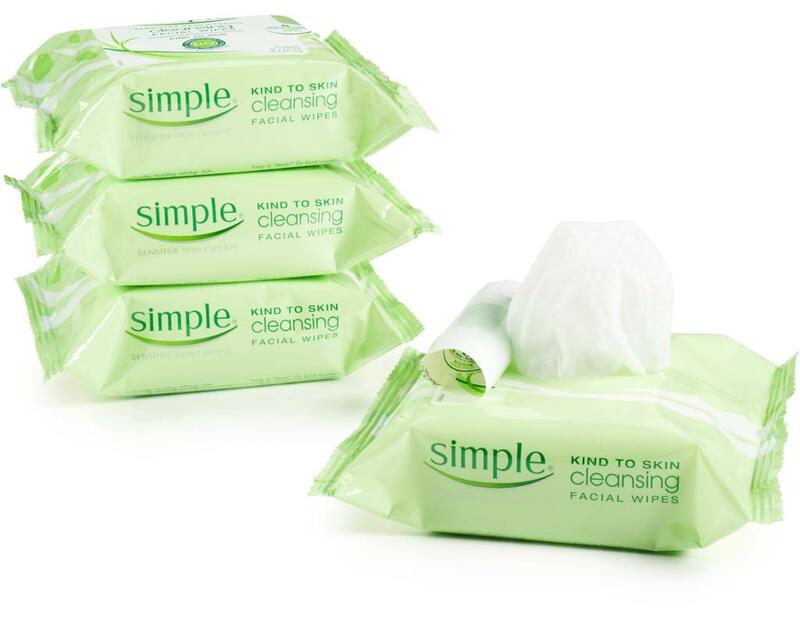 Simple's philosophy is simple...Never use perfumes, dyes or harsh irritants that can upset your skin. 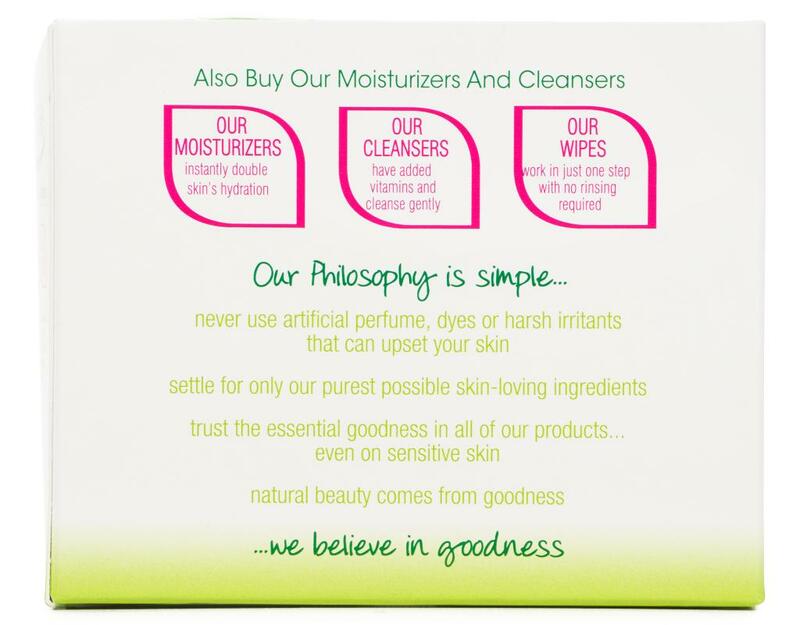 Settle for only the purest possible skin-loving ingredients. Simple says trust the essential goodness in all of Simple's products even on sensitive skin. 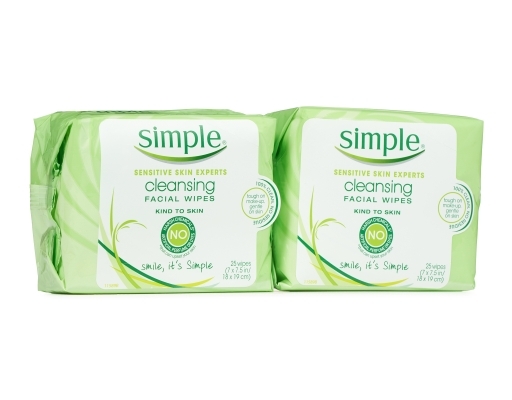 Simple says natural beauty comes from goodness...believe in goodness.